Dr. Stanley Levenson and the team of Levenson Smile believe that everyone should have a smile they are proud to share with others. When smiling, laughing, and talking with friends, family, coworkers, and clients, many patients realize how important the appearance of their smiles can be. It can make a positive first impression—or a negative one. Patients who have struggled with imperfections of their natural smile, such as staining and discoloration, may feel as though their smile should not be on display. They may avoid smiling at others, cover their mouth with their hands when talking to others, or keep their distance to keep from feeling embarrassed about the way their teeth and gums look. When this becomes an interruption in one's interactions with others, our team will highly recommend a consultation appointment to learn about cosmetic dentistry solutions. 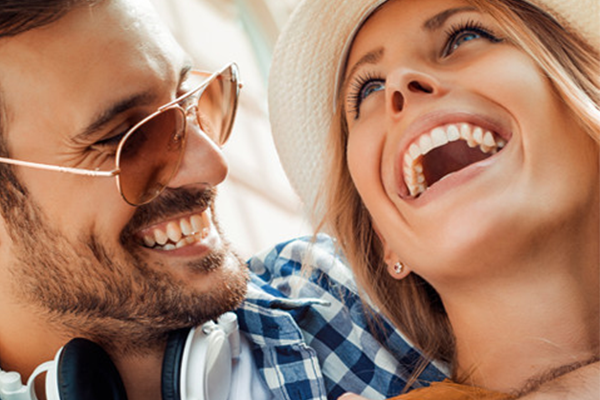 One of the best, most popular treatments available in Worcester, MA is teeth whitening. Teeth whitening can make a dramatic change to an otherwise dull, discolored smile. Dr. Stanley Levenson is a cosmetic dentist who can provide professional-grade teeth whitening solutions that far surpass the results achieved with traditional, over-the-counter whitening treatments. His team will suggest teeth bleaching treatments from a dentist because they provide effective, affordable, and long-lasting results. There are two methods of whitening available through Levenson Smile, our in-office power bleaching, and our take-home whitening trays. Both are effective at returning the smile to its original brilliance. They can be used to pull deep, dark stains from within the tooth enamel and rejuvenate the smile quickly and easily with the assistance of a quality dental team. Our practice may even suggest patients with severe staining consider using a combination of in-office treatments and take-home kits for dramatic results. Patients in and around the Worcester, MA area who are seeking treatment from one of the best teeth whitening solutions available through a quality dentist are encouraged to speak to Dr. Stanley Levenson and the professionals of Levenson Smile. Our team works closely with patients to determine if teeth bleaching is an advantageous way of achieving a more beautiful smile, and can also assist patients in determining if other cosmetic services may be of benefit to rejuvenate the smile's appearance.